The Uptown neighborhood of Chicago is filled with vast diversity and talents. Ideally, the local institutions, associations, and the skills of individuals are connected and use each other to enhance and strengthen the community. By locating all the available neighborhood assets, they can then be connected with one another in ways that increase their power and effectiveness. 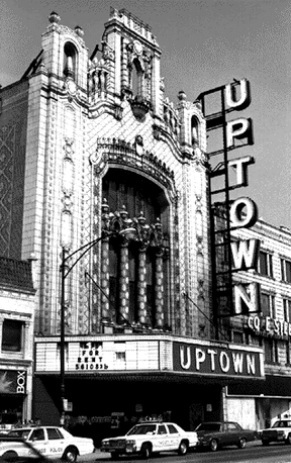 Treasures of Uptown is trying to create the community forum to inform Uptown about the resources of its own neighborhood. This website is designed as a resource, to educate about available resources, attract more partners to our cause, and receive feedback, including un-tapped talents, needs and questions. Neighborhood religious organizations sometimes are overflowing with resources to help build the community: from available space, to knowledge of local groups that meet there (like book clubs), to access of materials and equipment, economic power, and most importantly a following of individuals that look to their worship center as a source of trust, direction and news of the events of the area. By uniting the resources of local religious institutions with local community groups, including public institutions, associations, businesses, and individuals, the community can know the vast range of assets that exist around it to be empowered to confront and resolve the issues and needs of the community.